Honda CB Shine price starts at Rs.57,779 (Ex-Showroom, Delhi) and the top end variant Honda CB Shine Disc CBS is priced at Rs. 63,316 (Ex-Showroom, Delhi). It is powered by a 125cc air-cooled engine that produces 10.2PS of power and 10.3Nm of torque. 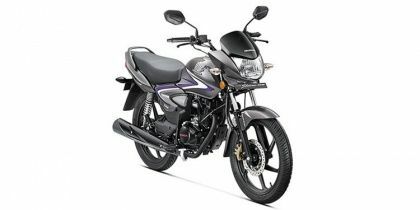 The Honda CB Shine is offered in three variants which have been priced between Rs 55,858-61,047 (both prices are ex-showroom, Delhi). The bike employs telescopic front forks and twin shock absorbers at rear to handle damping duties. Braking is done by drum brakes on both wheels while disc brake at the front is an optional extra. The Honda CB Shine weighs 123kg and has a fuel tank capacity of 10 litres. Q. Jaldee engine garam to nahi hoga? Q. Is this bike comfortable in bad roads? Q. Is this bike more durable than CB Shine or not?